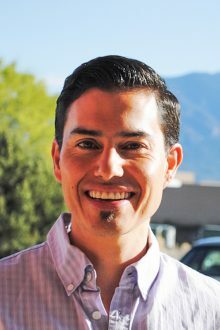 Demian graduated from the University of New Mexico Physical Therapy program in 2001. Since graduating he’s worked as a Physical Therapist in virtually every area of physical therapy including: inpatient, acute rehab, neuro, skilled nursing and orthopedics. In Demian’s years of experience he has practiced various manual therapy techniques including Maitland, Mulligan, McKenzie, and FMS. Demian has also worked as a travel PT and had the opportunity to work in many facilities on the west coast including WA, OR and CA. He recently moved back to his home town of Taos after working solely in orthopedics at St. Mary’s Medical Center in San Francisco. Demian has a love for the outdoors and being active. He enjoys playing soccer, running, hiking, biking, rock climbing and spending time with his family.